These small birds (13-14 cm) are in the same family as the White-browed Scrubwren and like their relative, are very active in the lower part of forests. 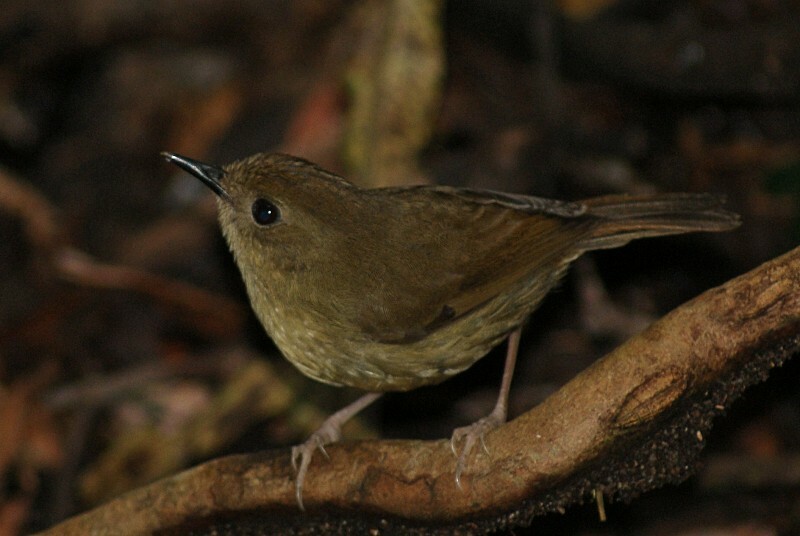 The Atherton Scrubwren is only found in a few small areas of mountainous raniforest above 650 m in tropical North Queensland. 1: Mt Lewis, Qld, 16/10/2011.